Erwin van der Krogt, born 29 April 1988, is a Dutch designer whose projects always start with a certain curiosity, fascination or question. This leads to hands-on experimentation, research and conceptualization. Such a process usually begins without an end product in mind and the final result is often unpredictable, as well as autonomous and always well-founded on a concept; from small products to furniture, to projects for public space. 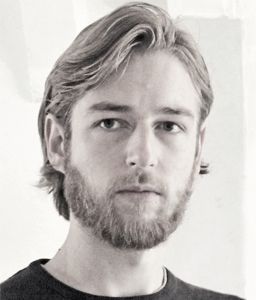 Erwin van der Krogt graduated from the Design Academy Eindhoven in 2013.